Stock market corrections are scary but normal. In fact, they're a sign of a healthy market in most cases. A stock market correction is usually defined as a drop in stock prices of 10 percent or greater from their most recent peak. If prices drop by 20 percent or more, it is then called a bear market. Stock market corrections occur, on average, about every 8 to 12 months and, on average, last about 54 days. First, resist the urge to "time the market." Although it's possible to make some short-term money trading the ups and downs of the market, strategies like swing trading rarely work for building long-term wealth. Most people lose money by trying to move their money around to participate in the ups and avoid the downs. This is a documented behavior studied by academics around the world. The field of study is called behavioral finance. Data show that not only do most people lack the discipline to stick to a winning investing playbook in correcting markets, but they also tend to transact at the wrong times causing even larger losses. As a professional financial planner, our job is to build portfolios based on science vs. behavioral biases. When we build a portfolio, we expect that one out of every 4 calendar quarters will have a negative return. We control the magnitude of the negative returns by selecting a mix of investments that have either more potential for upside less potential for high returns and also less risk—called diversification. If you are going to invest in the market, it is best to understand that stock market corrections are going to occur, and it’s often best to just ride them out. Resist the urge to trade and profit from them. Follow the old Wall Street cliche—never catch a falling knife. In the past 5 years going into 2018, the Dow Jones Industrial Average has nearly doubled without any meaningful pullback. For each of those years, a significant number of analysts have called for a correction or even a recession. These predictions have caused investors to pull out of the market too early and lose the impressive gains they could have seen if they didn't try to predict with the inevitable would come. This is true of individual investors as well as professionals. You can control the magnitude of the market corrections you might experience by carefully selecting the mix of investments you own. First: Understand the level of investment risk associated with an investment. For example, in an investment with what I call a Level 5 risk (high risk), there is the potential you will lose all of your money. With a Level 4 risk, you might experience a drop of 30-50 percent, but you won’t lose it all. That’s a big difference in risk. You can see a series of graphs that illustrate the amount of risk in different types of investments in Does Taking on Investment Risk Deliver Higher Returns. Second: Understand how to mix these different types of investments to reduce the risk to your portfolio as a whole. This is a process called asset allocation. It's important to reduce your exposure to significant market corrections as you near retirement. And once retired, you need to structure your investments so when market corrections occur, you are not forced to sell market-related investments. Instead, you use the safer portion of your portfolio to support spending needs during these times. Third: Understand the risk-return relationship of investing. The potential for higher returns always comes with additional risk. The higher and faster the price of the stock market rises, the less the potential for future high returns. Just after a stock market correction, or bear market, the potential for future high returns in the market is greater. In 2017, cryptocurrency became the craze. 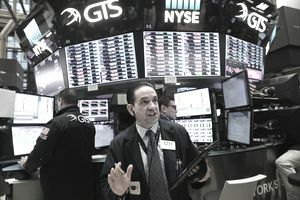 It had a return of more than 1,000 percent in the year and retail investors scrambled to get in while professional traders stayed away. Why? Because the professionals know that when something goes up that much, it will eventually have a severe correction. The last thing to know: If you don’t want the potential to experience a market correction, it is probably best to avoid investing in the market altogether. Instead, stick with safe investments. But safe investments have what we call opportunity cost—you miss the opportunity to set yourself up for the future life you envision for yourself and your family. The key is to strike a good balance.